Study: Recall a moment when someone really understood you. You felt safe, relaxed, and at peace knowing that you were loved completely and sincerely. Pray: Take a moment to open your heart to Jesus. You might want to read/pray the readings today (especially the 2nd reading from Hebrews) and gaze at the Cross. 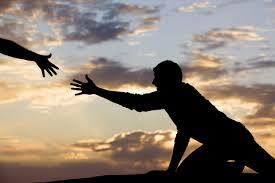 Serve: Is there someone in your life you can reach out to? Is there someone with whom you might be able to be present without judgment or bias – but simply meet them where they are in kindness, respect, and love? During my study as a seminarian I served as a chaplain at a hospital. I had the opportunity to work with a rich diversity of people from a variety of skills and backgrounds. Through this time I learned much about my strengths and weaknesses as a minister. One day I was assigned to visit a man who had a heart attack. He was unhappy, sullen, and angry at me (and everyone else who came in). He kept claiming that he was “as healthy as an ox” and had “never been sick a day,” but we could all see that his life was in a fragile state. In my visit I tried to speak about some of the topics that the doctors and nurses had been urging: physical exercise, diet, use of alcohol, stress, and other related issues. He refused to speak. He shouted, insulted, complained, and denied the fact that he even needed to be in the hospital! I (being very inexperienced at the time) thought I could wear him down by simply being more stubborn – sitting there and listening until he just ran out of air. Suddenly, a middle-aged man walked in the room and asked me if he could visit with the patient alone for a few minutes. I stepped outside, visited a few patients, and after about an hour I saw the man come out of the room with a big smile. He went over to the nurse on duty and informed her that the patient was willing to listen to any medical advice and act on it! We see a similar connection in the book of Hebrews today. Jesus became like us – he suffered, died, and rose from the dead that sin and death might no longer have power. He knows what it’s like to face the challenges and burdens of life, and because he understands, he is able to help us, guide us, and strengthen us in our moments of need. Perhaps now is the time to recognize that the Lord knows us. He knows what it’s like to face the challenges of life, and we can rejoice that the Master of the Universe comprehends our hearts – better then we do! Maybe today is our chance to stop and turn to the Lord and allow him to love us. Perhaps all we really have to do is stop “doing” for a moment and “be” present to Jesus. It’s good to have a friend who knows exactly what we are going through and helps us on the way! Study: Are there parts of my life that are in the dark? Is there anything that needs to brought into the light of Jesus? Pray: Ask the Lord for light to see insight and out – both in your heart and in your relationships. Pray for the strength to face what you see. Serve: Is there someone in your life struggling to face God’s light? How can you help them see clearly? Most of us use our sense of sight more than any other. We are visually oriented – in our reading, electronic media, use of film, and interaction with one another. But sight requires light to see clearly. We stumble in the dark, get disoriented easily when we cannot see, and can lose our way without our gift of sight. This is not just true in the physical world, but in the spiritual as well. Our lives are defined by the choices we make, the words we speak, and the actions we perform. They are all evidence of what’s really going on in our heart. In the spiritual light of faith we understand who we are; we can examine our lives by the light of Jesus and discover ourselves. Furthermore, in the light we can be truthful with one another. We tend to hide our sins and weaknesses in the dark – to cover up our failures and avoid exposing our messes to the light where others can see them clearly. Yet we also know that those who love us most truly know us the best, warts and all. They love us not because we are perfect, but because their love (which sees us clearly) is greater than our weaknesses. Is there a darkness in our lives today? Have we been stumbling in the dark and lost our way to God and one another? Jesus Christ brings light which will not only reveal our lives on the inside but also on the outside. God’s light uncovers who we truly are and how we relate to others. In the light we can be honest, sincere, and real. In the light we can acknowledge our failures and return to the one who forgives us. The invitation: come into the light! We do not need to be afraid – God knows us better than we know ourselves. Stepping into the light helps us to recognize where we can grow, so we can be transformed by the grace of Jesus and live in His light. On the inside – we fearlessly look at the darkness in our hearts. On the outside – we face the darkness in our relationships. Once the light of Jesus helps us to see clearly we can make the changes we need to live authentically as his disciples. By His light we can receive the grace, guidance, wisdom, and strength we need. Let there be light! Study: Reflect on a time when you sensed a gentle “tug” in your heart to act or speak. Did you heed the call or ignore it? Pray: Gaze upon the Cross of Jesus Christ, and consider His sacrifice for you. Thank Him for his merciful love to die for your sins. Serve: Is there a way that you can gently help another face their struggles? I think of John the Baptist as one of those people who are exciting to listen to but just a little too intense. Being around the charismatic, passionate, tell-it-like-it-is prophet strikes me as standing by a bonfire: you want to draw near, but too close and you get scorched. What a contrast! John is fiery, bold, direct, and edgy…and he proclaims that the one greater than he comes to be slaughtered – to take away our sins. Our salvation is not achieved through a fierce battle or assault on hell; it comes because God sent his Son to die in our place. It’s this notion of slaughter that foreshadows the death and resurrection of Jesus. Lambs were sacrificed ritually in the ancient Jewish world. From the time of Passover when the Jews endured slavery in Egypt – where the blood of a lamb was sprinkled on the door posts as a sign of the angel of death – the image of a lamb powerfully expresses a path of salvation. Furthermore, lambs are gentle, meek, and defenseless. For thousands of years they have been employed by humanity for food and wool. 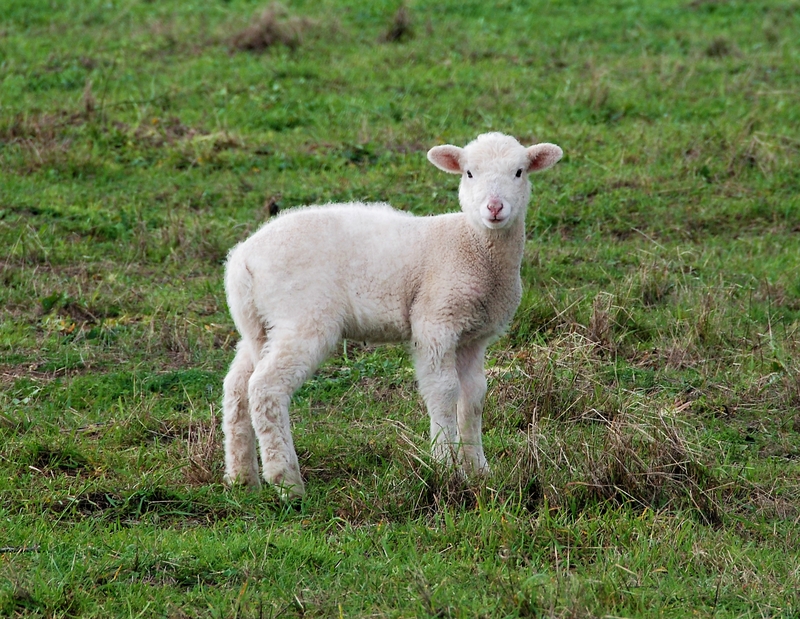 Lambs require protection, and without help they fall prey to predators. He comes for us. He will die on a cross in a horrible fashion – FOR US. Yet he will not force his message of love, forgiveness, and peace upon us – he will gently approach us and speak. How is Jesus inviting us today? Do we sense in our hearts a “nudge” to live in a different way? Is there anything going on in our lives that gives us the opportunity to follow the Lamb of God? He will tenderly call us. His invitation will be marked by forgiveness and love. Will we accept the one who comes to take away our sins? May John’s words inspire us to become His disciples. 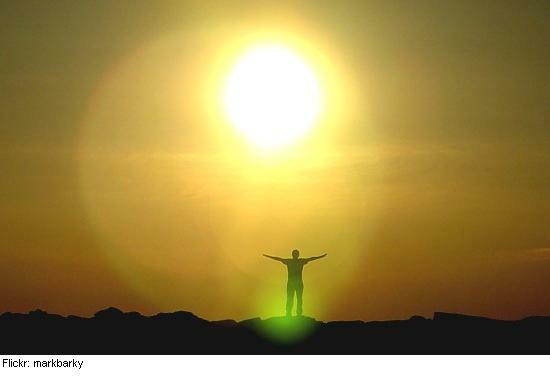 Study: When have I experienced a life-changing moment? How has this helped me to become a better person? Pray: Ask God for guidance to face new challenges with courage and strength. Serve: How can I help someone in the midst of great change? How can I support them? There are moments in life which transform us forever. During these times we experience profound and lasting change, and from these moments we find that we are a different person with new insights and awareness. Sometimes this process of change can take a protracted period of time – weeks or even months may pass while we are in a period of transition and renewal. Sometimes, however, the transformation takes a single moment; an event or encounter can completely alter the course of our lives. – the Father and Holy Spirit are present! 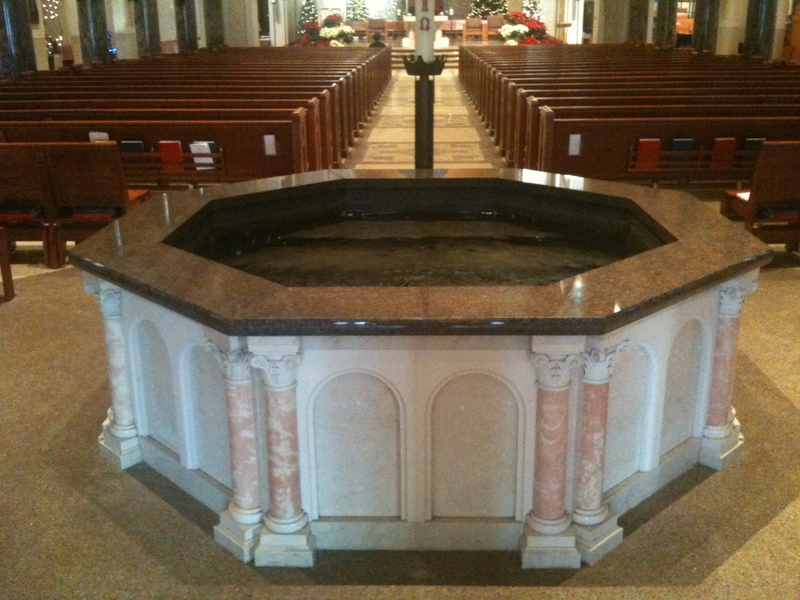 John’s baptism initiates a series of events that lead to the transformation of the adult Jesus. Outside of the birth narratives in the gospels of Matthew and Luke, nothing is really known about the Lord until this moment. Indeed, it is from this point on that Jesus must confront the revelation of his mission on earth. Some scholars argue that after his baptism Jesus became fully aware of his ministry and ultimate sacrifice on the Cross. It was at this point that he began to understand the fullness of his Father’s plan. This is why he went to the wilderness immediately after his baptism – he needed to think things out! This is why the devil came to him there – in hope that Jesus could be tempted NOT to fulfill his mission. It was his baptism – a public event – that allowed the Lord (and other people as well) to see the plan of salvation. In a single moment history changed as Jesus begins his earthly ministry. Our own transformations can be equally vivid. May we see in the Lord’s baptism a sign that we too can change, growing closer to God, aware of how our lives can bring life and hope to others.